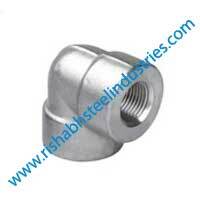 Rishabh Steel Industries Is One Of The Largest Manufacturer Of Forged Threaded 90 Degree Elbow in India. 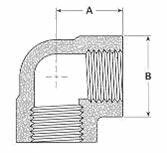 SS ASME B16.11 Threaded / Screwed 90 Degree Elbow has excellent resistance to chloride-ion stress-corrosion cracking, and as well shows appropriate resistance to a number of oxidizing environments. ANSI B16.11 Forged NPT Threaded 90 Degree Elbow [90 Degree Elbows] is very much resistant to chemical corrosion and oxidation (corrosion resistant), and has some high stress-rupture effectiveness and low creep rates under high stresses at temperatures after suitable heat treatment. 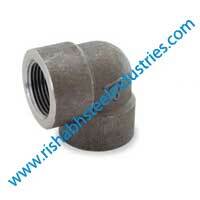 Our Forged Threaded / Screwed 90 Degree Elbow are accessible to our valuable customers in different range of diameters (b), wall thicknesses (a) and sizes in customized form (as per customer requirment or order) and also at quite affordable rates (Best Price In India). Meanwhile, we offer different types of these fitting such as [We Manufacture And Supply 90 Degree Elbow In Other Materials Like :] Stainless Steel Threaded 90 Degree Elbow, Inconel Threaded 90 Degree Elbow, Carbon Steel Threaded 90 Degree Elbow, Alloy Steel Threaded 90 Degree Elbow, etc. Our Forged 90 Deg Screwed-threaded elbow are used in Marine engineering, Chemical processing, Hydro-carbon processing, Heat exchangers, Valves manufacturing, Pumps manufacturing, Petrochemical plants, Nuclear power projects. We procure raw materials to manufacture Forged 90 Deg Screwed-threaded elbow from ISO and PED approved mills- Raw Material Origin Indian Mills & European Mills. If you are looking for Forged 90 Deg Screwed-threaded elbow shipped to you country check our free sample of Forged 90 Deg Screwed-threaded elbow along free quote. We can guarantee best price of Forged 90 Deg Screwed-threaded elbow & fastest delivery in your country, you can test our free sample of Forged 90 Deg Screwed-threaded elbow at your end before placing the order. We have gained several Orders of Forged 90 Deg Screwed-threaded elbow from countries like United Arab Emirates, Oman, Riyadh(Saudi Arabia), Qatar, Kuwait, Turkey, Singapore, Indonesia, Thailand, Vietnam, Bangladesh & other countries in the GCC region. 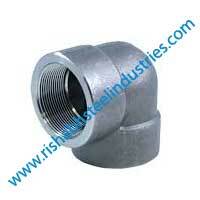 Our All Forged 90° Screwed-threaded Elbow Comes With Minimum 5 Years Warranty. 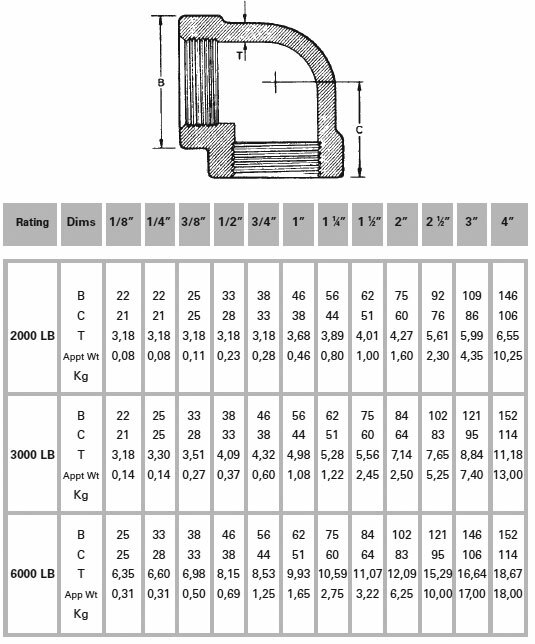 We supply Forged 90 Deg Screwed-threaded elbow after wrapping in bubble wrap & after that packed in wooden boxes. Forged 90 Deg Screwed-threaded elbow are offered with a NACE 3.1 Certification, Mill Test Certification and after world class Third party inspection. We have ready stock of Forged 90 Deg Screwed-threaded elbow in all sizes, in Seamless and Welded to cater to immediate delivery for break down & in ongoing projects. 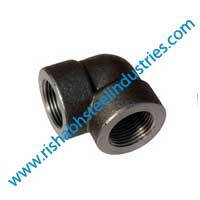 We welcome our clients, who want to visit our factory & stockyard in Mumbai, Hyderabad, Bangalore/ Bengaluru & request them to check quality of our Forged 90 Deg Screwed-threaded elbow before buying from India.